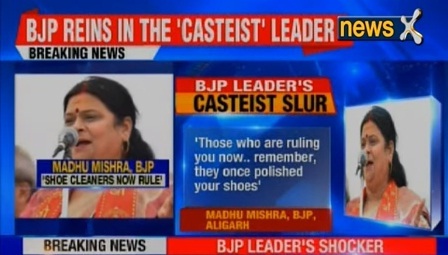 In a shocking statement, a BJP leader said that those who once polished shoes are today in power. Madhu Mishra, who is BJP leader in Aligarh, was addressing a Brahmin convenion in Aligarh. Addressing the gathering, she said that those who cleaned shoes are today 'ruling us with the help of constitution'. Clearly, the target was 'lower castes' as leaders from the historically disadvantaged groups including backward castes and Dalits have been in power in UP for most part of the last quarter century now. The constitution was drafted by Dr BR Ambedkar, the immensely popular Dalit leader. She allegedly said that there was need to fight the Dalit uplift. The statement has now evoked sharp reactions. Uttar Pradesh is India's most populous state and since early 1990s, it is chiefly the Dalit or Backward politicians who have ruled the State. BSP supremo Mayawati has been chief minister several times. Samajwadi Party leader Mulayam Singh has also ruled the state and now his son Akhilesh Yadav is CM in Uttar Pradesh. The BJP has taken disciplinary action against the woman leader of the BJP who was also BJP Mahila Morcha president. 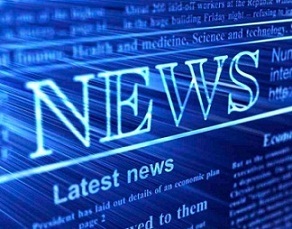 Latest reports suggest that she has been expelled from the party.